I've been using the Birthday Blooms stamp set a LOT (because I love it!) but had never used the little bloom in the set. Today was the day to correct that situation! Keeping it simple - the flowers are the star of the show. I decided to leave it pretty simple and let the stamp do the talking! The colours I have used are Calypso Coral (one that I have rarely used) and Basic Gray. 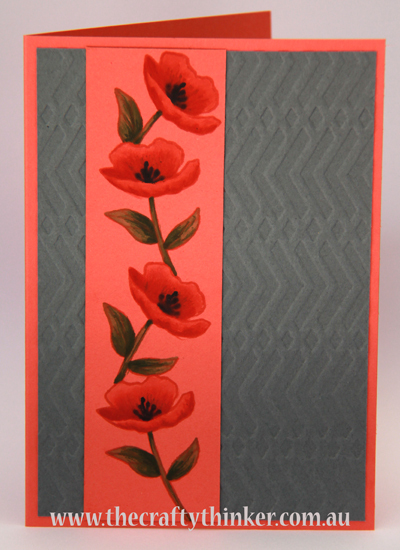 The Basic Gray layer is embossed with the ever-so-versatile Zig Zag embossing folder. If you would like to make a purchase - click on one of the product images below to go to my online shop.